There are few castles in Wales - or Europe for that matter - which can boast a more spectacular location than Carreg Cennen. Its ruins crown a precipitous crag in a remote corner of the Brecon Beacons National Park. 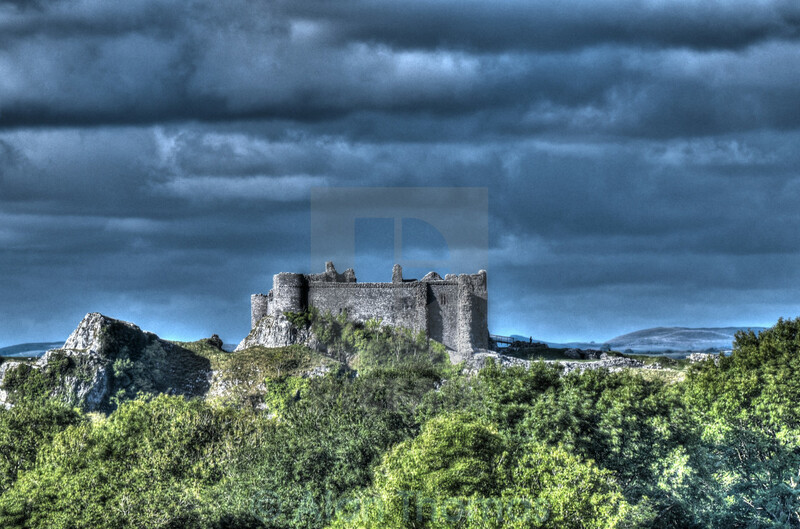 Carreg Cennen, its origins shrouded in obscurity, is the ultimate romantic ruin. A visit to Carreg Cennen is an adventure - not least for the sight of the breathtaking high cliff on which the castle is perched and the dramatic trek through the passageway cut into the cliff-face, which leads to a natural cave beneath the fortifications.Carreg Cennen Castle consists of a strongly-walled and towered square court. There are six towers, all of different shapes, including a great twin-towered gatehouse on the north side. A range of apartments on the east side of the inner court, or ward, includes a hall, kitchens, chapel, and the so-called 'King's Chamber'. This chamber has a well-carved stone fireplace, and traceried windows, one facing into the courtyard, the other outwards commanding impressive views to the south. These date from the late 13th or early 14th century. The cliff below the castle, and the windows of the passage to the caveThe castle is protected by limestone cliffs to the south and rock-cut ditches to the west. To the north and east there is an outer ward, and within that a barbican, gatehouse, and three drawbridges over deep pits protected the access to the inner ward. In the south-east corner of the inner ward steps lead to a vaulted passage and a natural cave beneath the castle, this leads deep into the hillside. A fresh water spring rises in the cave, which would have been a useful supplement during dry weather when the castle would have had difficulty harvesting rainwater to fill the rainwater cisterns. The castle is under the care of Cadw, who have stabilised and to a limited extent restored some of the remains. The castle is accessed via a steep climb up the hill from Castell Farm, which is near the car park.